Can We Be the Change We Seek? The diagnosis was simple; the fix for many students in Hartford’s North End facing particularly difficult conditions and challenges…less so. That is, until a group of pubic-private leaders and organizations came together to offer a solution to this problem of chronic absenteeism. 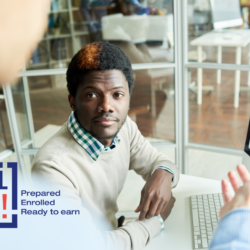 Several years ago, Hartford’s major insurance companies offered entry level jobs to Hartford Public School graduates, but when they discovered that these young adults were unable to read at the level required, they had to do more than offer jobs. So, these insurance companies adjusted their outreach to serve younger students, and a few of them launched a partnership between the Hartford schools and the private sector designed to reduce chronic absenteeism. 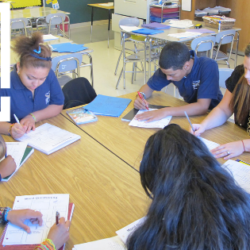 In the three-year pilot program begun in the fall of 2016, mentors work with students in grades 3 to 8 at Simpson-Waverly School in Hartford’s North End. Hartford administrators chose that school because a high concentration of its students come from economically disadvantaged homes and the principal embraced the idea as the right prescription. With leadership from The Governor’s Prevention Partnership and funding from AmeriCorps, Anthem Blue Cross Blue Shield and Cigna, a program called EdCorpsCT brings together 10 young adults, ages 18 to 24, to serve as mentors to 90 Waverly students each year. They’ve replaced the robo-calls that went out when a child was absent; instead, the young adult mentors call the home of every child late or absent every morning. Before exploring how private and public leaders came together to tackle absenteeism, some context. Hartford is a small city with big ambitions. Despite all our assets, we still struggle with how to transform our city into a healthy and thriving hub of businesses, public service institutions and community organizations that attract more residents, workers, and visitors to come and stay in Hartford year after year. Our budgets are shrinking and many communities are suffering. More parents and students are leaving our schools, more residents are leaving our communities, and more businesses are leaving our economy than we can bear if we are going to survive as a city not reliant on the state to save us every few years. But hope is not lost as there are many individuals and organizations throughout our city working hard each day to turn the tide. For Achieve Hartford!, coordination of resources is the key. 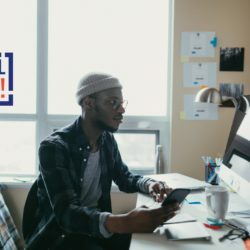 There is no hope for our city to become the talent hub we need it to be without intentionally creating space for increased alignment across all sectors. For such a small city, we boast big assets to back up our ambitions. Getting back to our story… the 10 mentors serving 90 students were embraced by the entire school community as part of the fabric of the school. In the first year of the program, absenteeism in the K-8 school fell by 9 percent, says Aristede Hill, program supervisor for EdCorpsCT. In addition, 67 of the students who received mentoring support increased their standardized test scores in math and literacy, he says. To Jill Hummel, president and general manager of Anthem Blue Cross Blue Shield of Connecticut and primary funder of the program, these early results are by design. 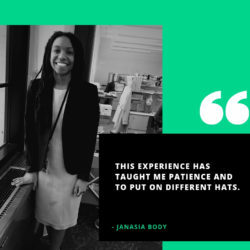 Having witnessed a successful model in Boston, she wanted to bring a similar program to Connecticut and the goal was to make sure this program was designed for both immediate impact on student wellness and efficiency in its use of resources. Research shows that students who have a healthy relationship with at least one adult are more likely to attend school and graduate. Some of Simpson-Waverly’s students come to school worried about food, shelter and clothing, says Leoanardo Watson, school principal. The mentors, four of them HPS graduates, receive a modest stipend through an AmeriCorps grant to provide daily, one-on-one contact with their mentees. Before beginning work all mentors passed state and federal criminal background checks and received 40 hours of orientation and training. The members receive additional professional development throughout the year. Some of the mentors come from similar backgrounds as their mentees and they’re motivated to “make better people and better citizens,” Hill says. Each mentor has 10 mentees and spend at least 30 1:1 hours over the school year with each one. They mentor, provide academic support and tutoring, and engage with families. Initially, teachers responded with skepticism to the idea and wanted to know if the presence of the mentors would add to their substantial workloads, Watson says. “I presented this as an opportunity for the teachers and the young people they’re going to be working with,” he says. For example, the mentor could serve as an extension of the teacher, one day leading a small group in guided reading and another day putting up a classroom bulletin board. Overall, teachers have been pleased with the pilot program, Watson says. 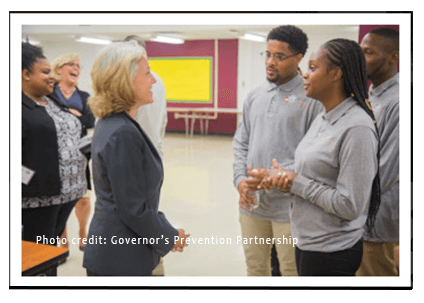 Jill Spineti, president and CEO of The Governor’s Prevention Partnership, credited Watson’s leadership and support of the EdCorpsCT partnership with its success. “Mr. Watson has been a champion and problem-solver,” Spineti says. Although the intention was to help the Waverly students, the young adults working as mentors have learned job skills. Supervisors reminded mentees to avoid using their cellphones while working and to come to work dressed professionally. Supervisors meet weekly with mentors and visit classrooms and observe them interacting with students. The supervisor acts as the liaison between the teachers and administrators and the mentors. “I want the supervisors to talk directly to the teachers, asking ‘What is working; what do we need to tweak?” Watson says. EdCorps mentors were given goals tied to the school’s improvement plan. It’s important for the mentors to feel a sense of purpose and that they’re part of a team, Watson says. Seeing the impact they’re having, some mentors volunteer to do more. Two young men volunteered to help coach a basketball team and a young woman volunteered to set up and lead a cheer squad. When Simpson-Waverly School closes at the end of this school year, the partnership will transfer to another school, one with a high percentage of the Simpson-Waverly students. Watson says they’ve already met their goal because they’ve improved children’s lives, reduced chronic absenteeism and helped the mentees grow as young adults. As Hartford moves forward, this story of collaboration and shared leadership shines a flickering but welcome light of promise that our solutions might rise and meet the challenge of the obstacles before us. We look forward to sharing more stories of hope like this in the future with you.